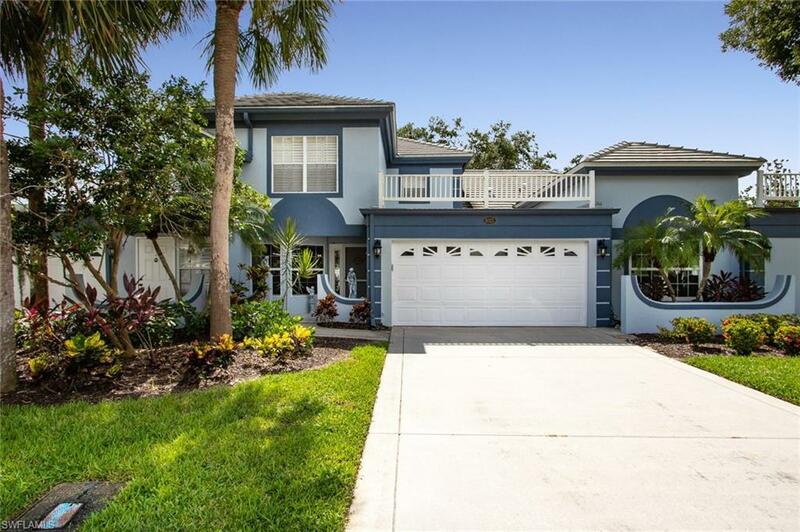 8025 Glen Abbey Cir, Fort Myers, FL.| MLS# 218056562 | Southwest Florida Residential Real Estate for Sale. Impeccably maintained, light and airy 3 Bedroom/3 full Bath center unit condo in Glen Abbey. Sparkling lake views from 8' sliding glass, pocket doors. Spacious, eat-in kitchen with corian countertops, SS appliances and well appointed cabinets and cupboards. Great room has volume ceiling and formal dining area. Two master bedrooms, each with walk-in closet and dual sinks. Office/den option for the third bedroom. High impact windows with custom Hunter Douglas window treatments. Two car garage. Just steps away from association pool and party room. Join one of the most elegant, amenity-rich, and socially active country clubs in SW Florida. Two championship golf courses for only 585 members. Equity Membership fee of $50, 000 due at closing.